A Maghera woman has been handed a four month suspended sentence after calling police “black b******s” and kicking her arresting officer twice on the shin. 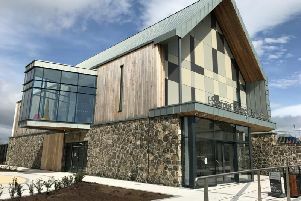 The court heard how Stacey Carson from TullyKeeran Gardens was “highly intoxicated” and acting in an antisocial way on July 25 last year on Mullaghboy Lane in Magherafelt. When police approached Carson, the prosecution outlined how she had become aggressive and had pushed an officer while swearing and threatening them. When they then tried to stop her becoming more violent by taking her by the arm, she then kicked the arresting officer twice on the shin before resisting arrest, the court heard. She was charged with resisting police, disorderly behaviour and two counts of assaulting police. In her defence, counsel said Carson had taken steps to curb her drinking since the incident and had since found that she was expecting a baby. He then passed a sentence of four months but suspended this for two years, before telling the defendant that if she can stay out of trouble for two years then “hopefully you will be able to put this behind you”.